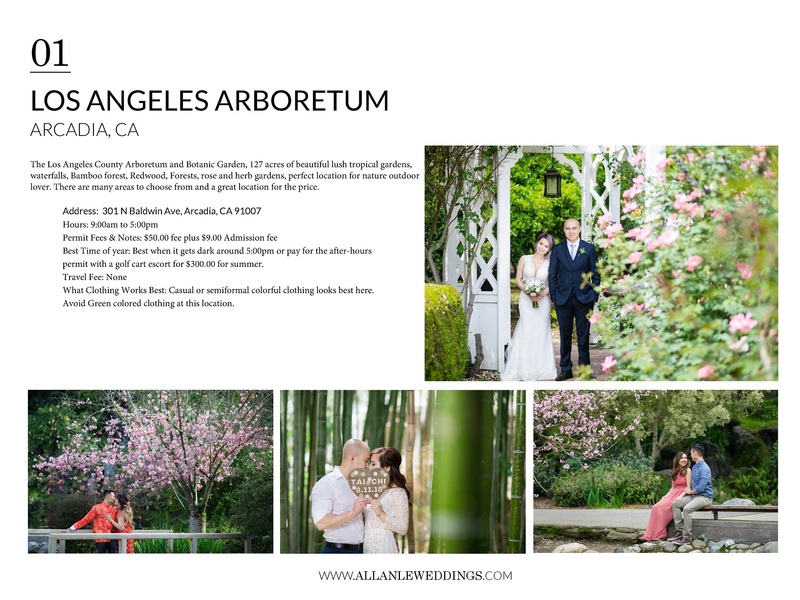 We have compiled a list of frequently asked questions, favorite vendors and recommended photography locations, for your convenience. If you have other questions, feel free to contact us at anytime. 1) Do you have my date available? 2) How far in advance do I need to book with you? - Booking is based on first come first serve. 3) How long have you been in business? - We have been in business since 2015. 4) How many weddings have you shot? Have you done many that were similar to mine in size and style? 5) How would you describe your photography style? 6) How would you describe your working style? - Adapt to the situation. Blends into the background and shoots what unfolds naturally, or creates a more visible presence by taking charge and choreographing shots. 7) What do you think distinguishes your work from that of other photographers? - Natural colors, sharpness and attention to details. 8) Do you have a portfolio I can review? Are all of the images yours, and is the work recent? - Yes. 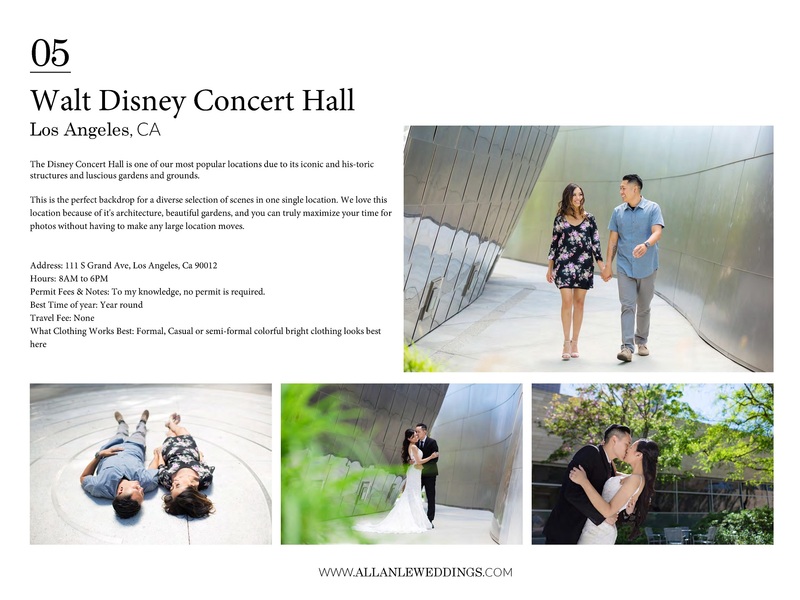 My portfolio can be viewed at AllanLeWeddings.com or through appointment at my home office. 9) What type of equipment do you use? - We use high end Canon cameras: 5D Mark 4, 1DX Mark 2, Sony A7R3, and 5D Mark 3. 10) Are you shooting in digital or film format or both? 11) Can I give you a list of specific shots we would like? - Yes, it is highly recommended. 12) Can you put together a slideshow of the engagement session (along with other photos the couple provides) and show it during the cocktail hour? What about an "instant" slideshow of the ceremony? - Yes, we can provide a slideshow of engagement session. However, we charge $150 per slideshow. For instant slideshow of ceremony, we also charge $150 per slideshow. 13) What information do you need from me before the wedding day? 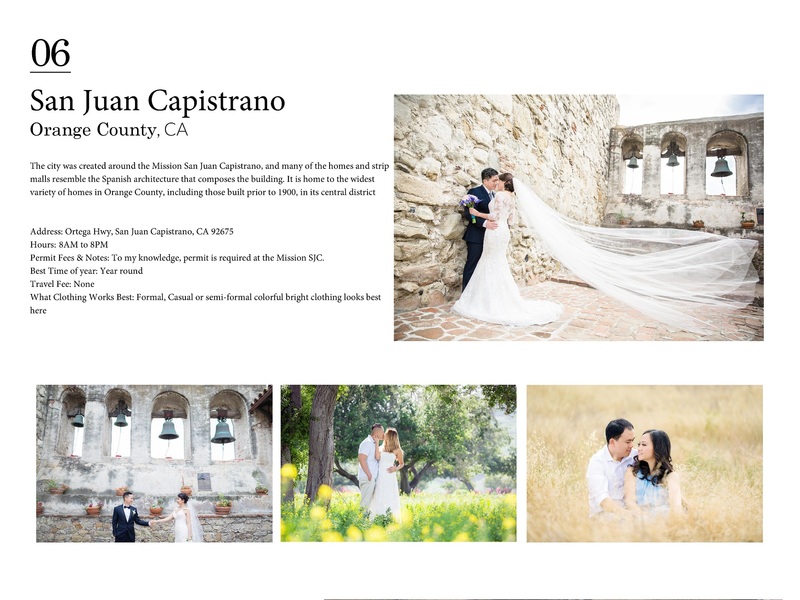 - We would like to have a complete timeline of your wedding day and shot list you want for your wedding day a week prior. 14) Have you ever worked with my florist? DJ? Coordinator, etc.? 1) Are you the photographer who will shoot my wedding? If so, will you have any assistants with you on that day? If not, who will be taking the pictures and can I meet them before my wedding? 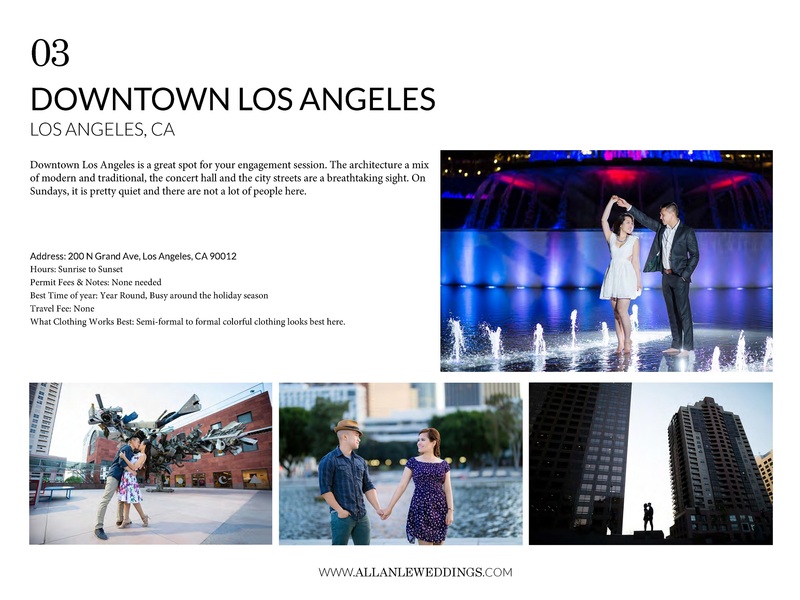 -Allan Le Weddings is composed of two photography teams. A) Main Package: Done by Allan. B) The associate's package: is done by a highly skilled lead shooter. 2) Do you have backup equipment? -Yes. All our main and lead shooter carry 2 high end cameras at every wedding. 3) What about a backup plan if you (or my scheduled photographer) are unable to shoot my wedding for some reason? -Yes. We will find a highly qualify substitution. 4) If my wedding site is out of your area, do you charge a travel fee and what does that cover? -Yes. We charge for hotel, gas and mileage. 5) Are you photographing other events on the same day as mine? -No. Once the photographer is booked, the photographer doesn't commit to any other job. 6) How will you (and your assistants) be dressed? -Our team will be dressed in black attires fade into the crowd. 7) Is it okay if other people take photos while you're taking photos? -Yes. However, they must remain behind the photographers. 8) Have you ever worked at my wedding site before? -If it is a venue we have never worked at before, we would go scout it out once prior to the wedding date. 9) What time will you arrive at the site and for how long will you shoot? -Full wedding coverage is provided for each of the packages up to 1030p.m. 10) If my event lasts longer than expected, will you stay? Is there an additional charge? -If extra hours is required, the additional service charge is $200 per hour. 1) What packages do you offer? - Please refer to our pricing menu for details of each packages. 2) Can I customize a package based on my needs? 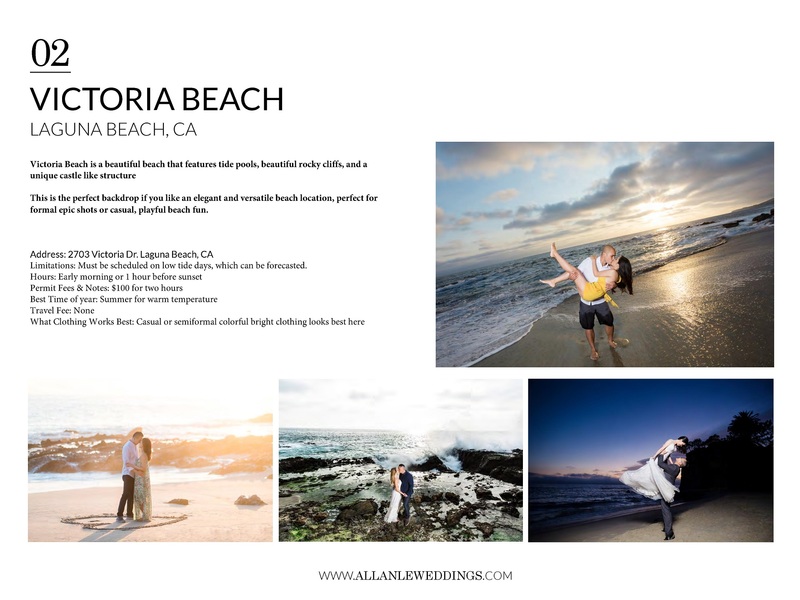 3) Do you include engagement photos in your packages? - Please, refer to our pricing menu for more details. 4) What type of album designs do you offer? Do you provide any assistance in creating an album? - Album samples can be view upon appointments. We have several albums on display. Each album is designed with the client's inputs and approval. 5) Do you provide retouching, color adjustment or other corrective services? - Yes, we charge $10 per photo. 6) How long after the wedding will I get the proofs? Will they be viewable online? On a CD? - Photos are available through online hosting via Smugmug.com three to four weeks after date. 7) How long after I order my photos/album will I get them? - Album and edits are deliver to the client three months after the client returns them for processing. 8) Will you give me the negatives or the digital images, and is there a fee for that? - We give copies of your photos via email or online hosting. 1) When will I receive a written contract? - TIP: Don't book a photographer—or any vendor—who won't provide a written contract. 2) How much of a deposit do you require and when is it due? Do you offer a payment plan? 3) What is your refund/cancellation policy? - Non-refundable retainer fee is due at the time of signing of agreement. 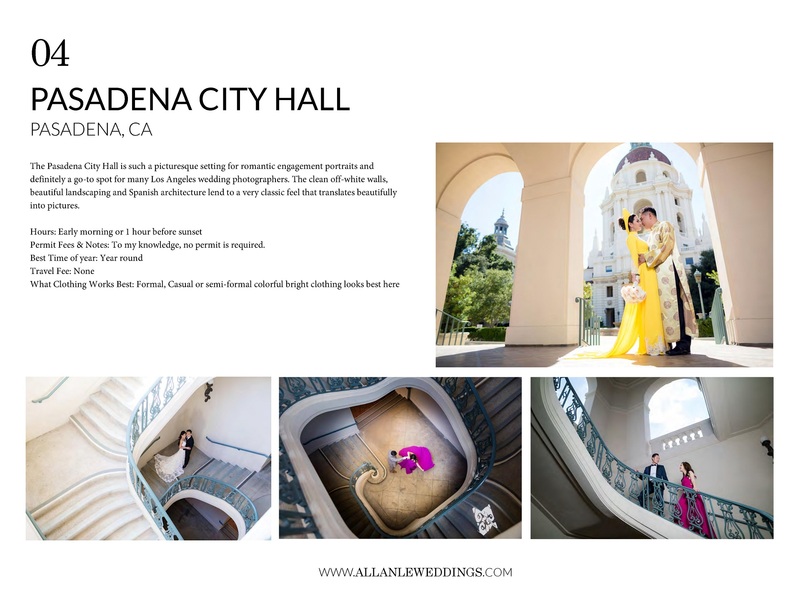 Below are some of our favorite portrait session location recommendations. We love photographing an engagement session because it is lot of fun. Second, engagement sessions are a great way to get to know each other a little more before your wedding. It’s a chance to see how we work together, and it helps make you the couple more comfortable in front of the camera on your wedding day. There are a few things to think about when choosing a location for your session. Always, pick a location that fits your personality. I've found throughout the years that couples are usually most comfortable in settings that make sense for who they are. As residence of OC, we have quite a few selections to choose from like the beach, the mountains, architectural buildings in LA, parks and gardens. If you’re having trouble thinking of a location, there are many suggestions listed below that might be of interest to you. Another important thing to think about is what time of day and whether a weekday or weekend would be best for the location that you choose. Also, if you want to shoot at the beach, I highly recommend capturing those photos on a weekday to minimize large groups of people in the background, especially during the spring and summer. If scheduling your shoot on a weekday isn't an option, I would recommend scheduling your engagement session bright and early at sunrise on a weekend so we can take advantage of the beautiful light while also reducing the possibility of having large groups of people in the background. Keep in mind that some of the locations listed below might require a permit to photograph on the premises and some locations I don’t photograph at during the summer because of crowds or heat.